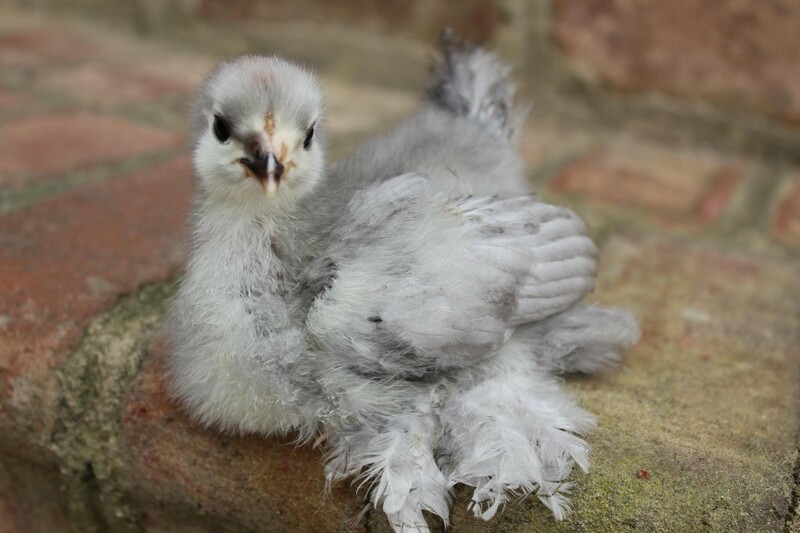 If you have followed Happy-Days-Farm for very long, you have probably heard this story before, but I am sure I will bring it up every year when people start talking about hatching eggs, and buying chicks. Three years ago, we learned a very valuable lesson about raising chicks. I am going to share this again, in hopes that some people will not make the same mistake that we did. We purchased six, beautiful, little chicks from our local farm store and had raised them, by hand, in the house for four weeks. They were precious, spoiled and completely tame. We had even given them names already. We had raised chicks many times at this point, but on this particular day, the perfect storm of events taught us a lesson we will never forget. It was Mother’s Day, and we never go out to eat on that day. It is just too crowded. Instead, we usually cook a big meal and just invite family over. 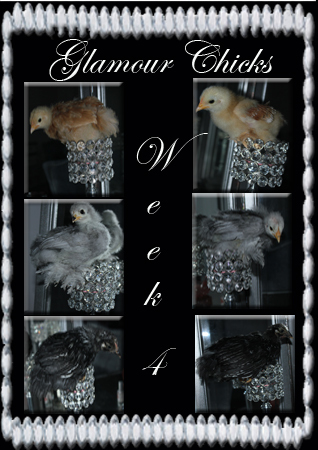 This morning, I decided to take our chicks and do their four-week old photo before everyone started to arrive. After the meal was over, I proceeded to clean the kitchen, when much to my dismay, I realized that my main course had completely bubbled over and encrusted onto the bottom of the oven. 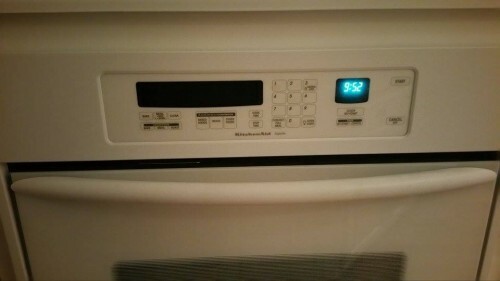 I scraped off what I could, and then decided to turn on the self-clean option of the oven. I knew not to dare use any type of oven cleaner because they are so toxic, but the self-clean would surely be fine, especially since the chicks are in another room anyway. The self-clean had been running for about a half hour when I decided to take my shower. Everything seemed fine, as I passed through the laundry room, I looked in on the chicks, and they were all stretched out enjoying their heat lamp. About an hour later, I came back to check on the chicks one last time before I went to bed, and I was horrified to discover that they were all dead but one. The one that was still alive was gasping for air. I grabbed her up, and ran outside with her to get her some fresh air. Unfortunately, she died a few moments later. I had no idea what was wrong. I was distraught. I spent the next hours discovering my mistake. 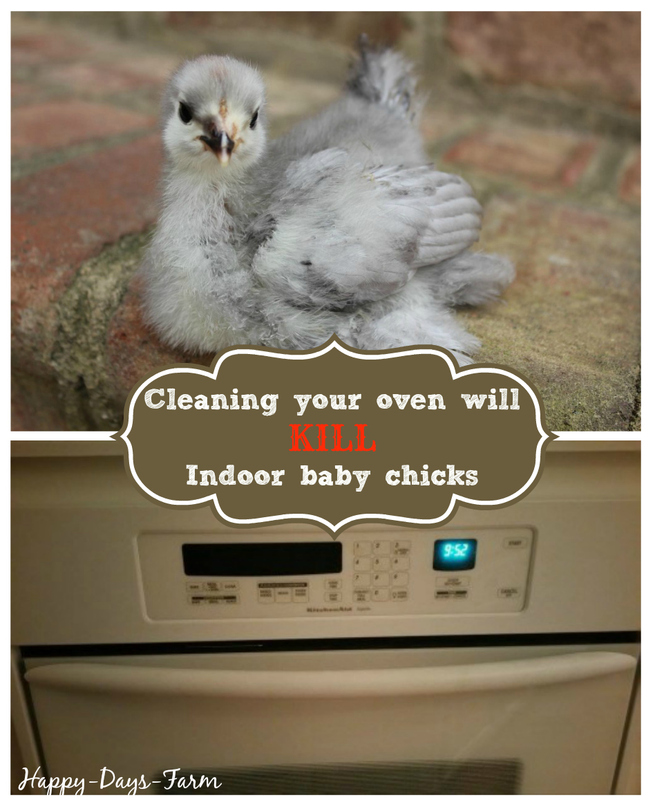 I did not know that self-cleaning my oven, even with windows cracked, could be deadly to my chicks. My chicks died of toxicity, also known as polytetrafluoroethylene toxicosis. Many studies have suggested that the real danger associated with this does not exist until it is heated to more than 500 degrees. This temperature is reached quickly during the self-clean cycle. This also happens when using Teflon pans on the stove top. The unique design of a bird’s system is the reason this will kill them so quickly. In order to have the energy needed for flight, a birds system quickly absorbs oxygen into the blood stream to be delivered to the muscles. This unique feature is also very good at delivering toxins the same way. This was a painful event for us, and a great lesson to be learned the hard way. We tell it in hopes that no one else will make this mistake. Please be aware that the toxins released during a self-clean cycle will kill birds, but is still dangerous to any pets you may have in the house. If this is the case for our animals, it is obvious, that while it is not normally deadly, the toxins are also absorbed by our lungs in the same way, causing damage. One more thing I would like to suggest. I have no research to back this up, but please consider this. Even if you don’t have chicks in the house, but you have eggs in an incubator, I would wager the self-clean cycle could possibly do the same thing. I simply wouldn’t take the chance.